Separated from the mainland by the Lake Worth Lagoon, Florida's Palm Beach is a popular destination for wealthy snowbirds and famous names like the Vanderbilts, Rockefellers and Kennedys. Even if you're not one of the world's wealthiest, there is plenty to see and do alongside relaxing on one of the area's iconic beaches. It's important to note that the Palm Beach area suffered some damage from the catastrophic Hurricane Irma that decimated parts of the Caribbean and the east coast of the US in September 2017. While some things are starting to reopen, expect the area to look different from previous photos or how you might remember from a prior visit. Be patient, and remember Florida needs assistance, so it's incredibly helpful to put tourism dollars back into the local community as soon as possible. Whether you want to shop until you drop, learn more about the city's history and art, or grab some sun on a stretch of sand, Palm Beach has it all. Worth Avenue, like Rodeo Drive in Beverly Hills, is all about luxury shopping. Worth Avenue and the alleyways intersecting it house over 250 high-end clothing boutiques, art galleries, and antique shops. Cartier, Saks Fifth Avenue, and Tiffany and Co. are just some of the retailers represented here. 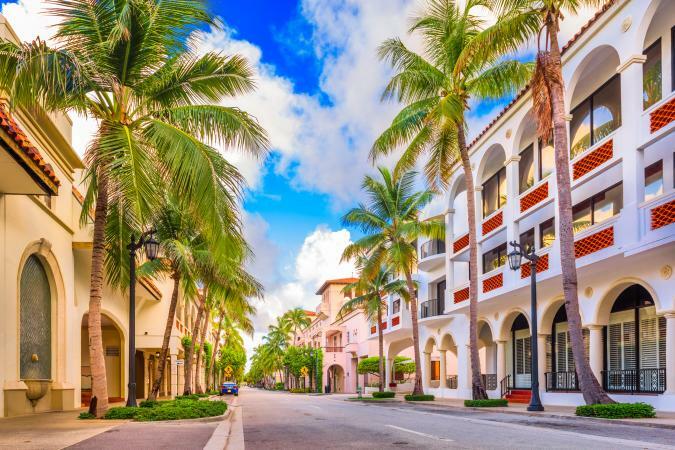 Interesting architecture, many buildings by Addison Mizner, and great people-watching make this an interesting stroll even if you can't afford to shop here. Note: At the time of this writing, all Palm Beach beaches are closed until further notice due to the effects of Hurricane Irma. Alerts are updated on the official Town of Palm Beach Florida website. Edna Hibel's paintings are sugary portraits of mothers and children from around the world. She painted on a variety of surfaces: wood, silk, crystal, and porcelain. The Hibel Museum of Art, located on Royal Poinciana Way, houses over 1,000 examples of her work. Up until her death at 97 years of age, Mrs. Hibel still lived in the Palm Beach area and frequently visited the museum. Note: The museum is temporarily closed. Follow updates on the museum page as to when it will reopen. Henry Flagler, a former Standard Oil executive, founded the tourist industry in Florida. In the 1880s, he built rail lines down the east coast of Florida and brought his wealthy friends to winter there. 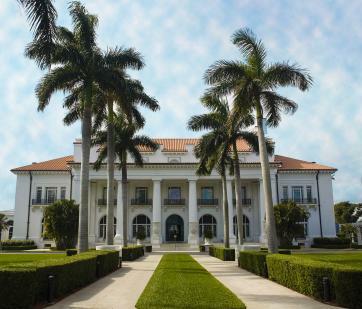 His winter home "Whitehall," a 55-room mansion dubbed the "Taj Mahal of North America," is now the Flagler Museum in Palm Beach. Highlights of this spectacular home are the master bath, with its sunken tub and double wash basins made of onyx; the huge, Louis XV ballroom; and the marble hall, the grand entrance of the home with its sweeping stairway, gilded chairs, and painted ceiling. The grounds are home to one of Flagler's luxurious private rail cars. Note: Flagler museum is temporarily closed after Hurricane Irma. The museum was spared, but they are still dealing with downed trees and general clean-up around the property. Built in 1886, Sea Gull Cottage is Palm Beach's oldest existing house and Henry Flagler's first home there. 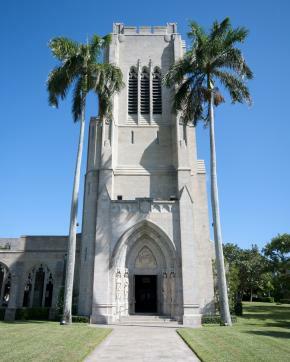 The cottage is adjacent to the Royal Poinciana Chapel, built in 1896 by Flagler for his guests. It's a Queen Anne style cottage, which is typical of Palm Beach's earliest architecture. Flagler purchased the home in 1893 for $75,000 from Denver railroad and land developer R.R. McCormick. It remained his primary residence until 1902 when his adjacent Whitehall mansion was completed. After that, it was occupied by executives from the railroad until 1913 when it was moved to the oceanfront, becoming one of the Breakers Hotel rental cottages, where it acquired its current name, Sea Gull Cottage. Sea Gull Cottage was threatened with demolition in 1984, so the Preservation Foundation of Palm Beach had it moved back across the island, restoring it near its original location, using land from the Royal Poinciana Chapel. The Church of Bethesda-by-the-Sea is an Episcopal church founded by four people back in 1889. They gathered on the shores of Lake Worth to establish a mission. The first church was constructed out of wood that drifted ashore as well as old packing boxes since available lumber was scarce. When it was first used in 1889, it could seat just 100 people. In 1894, a larger building was constructed to help house the growing community. This was also around the time that Flagler extended his railroad to Palm Beach, so the wealthy people vacationing there started participating in church activities. More growth and support helped fund construction of an even bigger facility in 1925, which is the church seen today. 2014 marked its 125th year. Meaning "Big Water" in the Seminole Indian language, Lake Okeechobee is the second largest freshwater lake in the United States. Just east of Palm Beach, it is famous for its fishing, particularly its largemouth bass. There are several marinas surrounding the lake, replete with tackle shops and boat rentals. There is also a large bird and wildlife population around the lake. Bring your binoculars. This museum, located just across the intercoastal waterway in West Palm Beach, houses the finest art collection in Florida. Founded in 1941 with the art collection of industrialist Edward Norton as its foundation, The Norton Museum of Art has an extensive collection of French Impressionist and Post-Impressionist art as well as a trove of noteworthy 20th century American art. There is also a small, but important, sculpture exhibit with works by Rodin, Degas, and Brancusi. Hours are Tuesday through Sunday, noon to 5 p.m.. On Wednesdays, they stay open until 9 p.m. The museum is currently undergoing major expansion so entrance is complimentary for the duration of the new Norton construction. Addison Mizner brought Spanish-style architecture to south Florida. A native New Yorker, he arrived in Palm Beach in 1918 to convalesce from an accident. He stayed on and left his signature terra cotta stucco walls, tile roofs, and Spanish detailing all along Florida's east coast. See his work on Worth Avenue, in the immaculately restored Palm Beach Town Hall, and just north of town in Boca Raton. The most impressive sides of the multi-million-dollar mansions in Palm Beach, Florida are the ones that face the ocean. See how the "other half" lives and take an afternoon cruise along the coast. 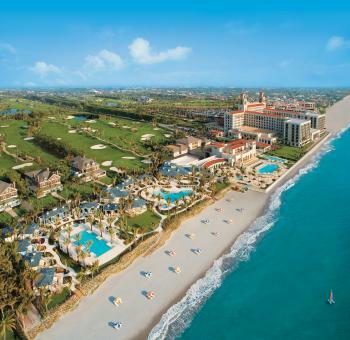 Enjoy the ocean breezes and brilliant sunshine that are Florida's trademark. One option is Majestic Princess Cruises, where you can enjoy some time on a luxurious yacht for brunch, lunch, dinner, or just sightseeing. Cruise admission only at lunchtime is $29.95 while cruise admission with lunch is $39.99. Evening cruises are the same price for admission only while adding dinner makes the total $59.95 per adult. Another day cruise option is through Delray Yacht Cruises. Throughout the year, they offer specialty and sightseeing cruises, including a Sunday brunch option. Sightseeing-only cruises are $25 for adults, and rates are $46 per person for the brunch cruise. Because it attracts such a high-end clientele, you'll find a variety of superb restaurants to choose from. You'll also find trendy and fun options like food trucks and casual eateries. If your plans allow, consider timing your trip with the Palm Beach Food and Wine Festival that takes place in the winter. It's one of the most highly anticipated events of the year. Palm Beach has a variety of lodging options, from fairly economical options, all the way up to luxury hotels that attract high-end clientele. The most well-known and iconic one is The Breakers. Before there was the Ritz Carlton and the Four Seasons, there was The Breakers Hotel. It was founded in 1896 by Henry M. Flagler, one of America's great industrialists. He's credited as the trendsetter who helped bring the grand and glorious properties to Palm Beach. The Breakers was located right at the "breakers," where the waves crashed. Fires in 1903 and 1925 caused The Breakers to be rebuilt, which saw it become even grander each time. The most recent version was modeled after the Villa Medici in Rome, which required the expertise of 75 artists from Italy. Rates start at $369 for a king bed with a view while the oceanfront premium Atlantic suite starts at $1,700 a night. Palm Beach County stretches for more than 47 miles and encompasses nearly 40 cities and towns, but Palm Beach itself is only a 14-mile long, half-mile-wide island. If you're looking to visit Palm Beach, but don't want to go broke, consider staying outside of Palm Beach proper. 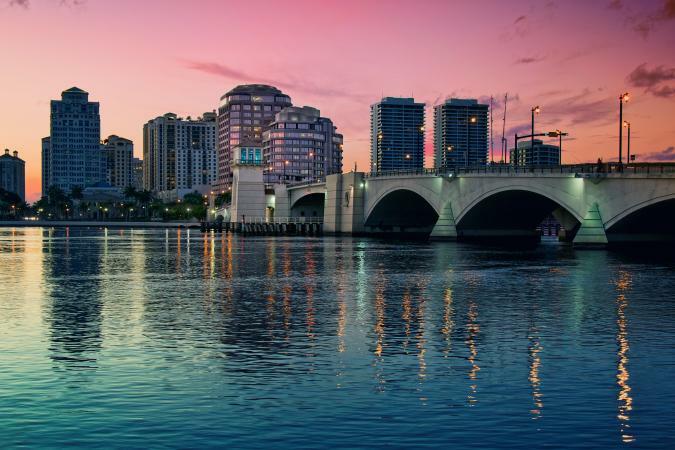 Just across the waterway is West Palm Beach, which has a variety of lodging and dining options that are less pricey than Palm Beach itself. If you're looking for the best in Palm Beach nightlife, you're likely going to want to head across the water to West Palm Beach. West Palm Beach is more well known for its party atmosphere and trendy cocktails. If you're looking to go dancing, spots like Clematis Street is the place to be. USA Today's 10 Best has a round up on the best bars and lounges found in the West Palm Beach area. After a disaster, some travelers are inclined to postpone or cancel their trips because it won't be "perfect," but once a destination is back operational, they are eager and welcoming to those who are willing to look beyond its temporary imperfections. If you're considering a trip to Palm Beach in the coming few years, keep planning it! You can check with your hotels and restaurants of choice to find out current status, but rest assured they are working hard to rebuild the area as quickly as possible.